Hanoi (VNA) – The Southern Vietnam Engine and Agricultural Machinery Co. Ltd (SVEAM) said it will invest efforts in improving product quality so as to export more Vietnam-branded agricultural machinery. 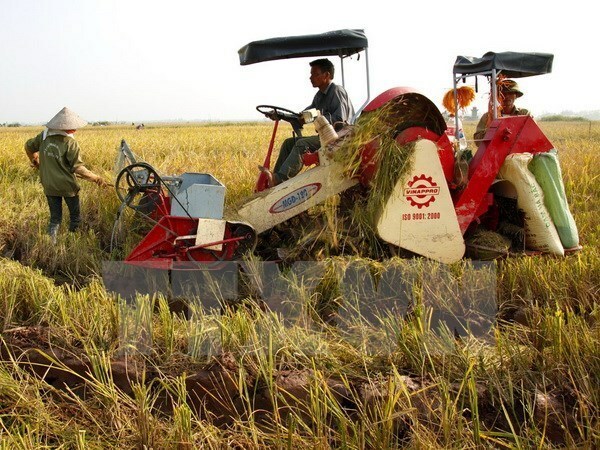 SVEAM said it has spent 120 billion VND (5.28 million USD) in phase I and 40 billion VND (1.76 million USD) in phase II on promoting the quality of diesel-powered machines and small-sized tractors. The company currently owns more than 60 precision machining centres, 400 specialised equipment, and modern measurement and testing devices, to ensure high and stable quality of its products. Vikyno and Vinappro are SVEAM’s two brands that have the rate of locally-made components of up to 100 percent, the firm noted, adding that the brands have become popular in foreign markets, especially in Southeast Asia and South Asia.